Like a hammer is essential to a carpenter, and a sword is to a knight. so are beauty tools to a beauty blogger. We want to always present our best (-looking) selves to the world, and hence the introduction of beauty aids. I'm pleased to share some of my favourites, and perhaps its easier to see how these beauty tools come to play on a regular day. 1) YSL mini tweezers: Trim those strays! When it comes to choosing tweezers, immaculate and precise is the name of the game, but the ones that I've gotten from proved useless with its loose grip. The current one I've shown here, is one I got this as part of a beauty set during my ION Insider competition and its really handy and precise in getting those hard-to-reach strands. Being a sharp, angle-tipped one, it helps me grasp even the finest of hairs, and it being a stainless steel piece means I do not worry about it rusting over time. 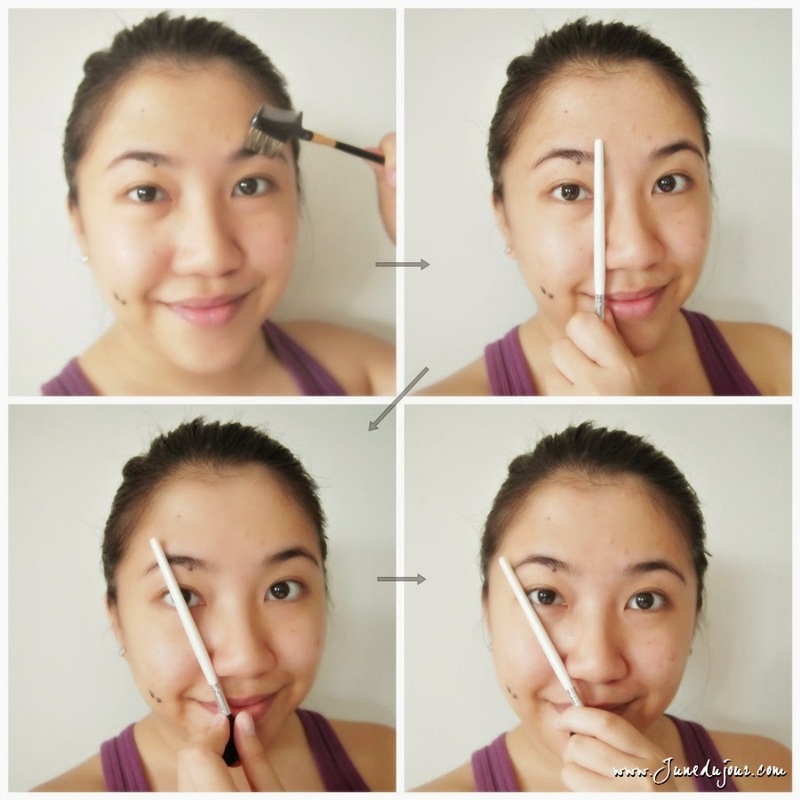 Here's my quick steps on how to craft and trim eyebrows. You'll need a brush to sweep the strands in to place first; then using a brush (or a rod-type item of any kind) to measure the brow beginning. Here, I've lined the brush parellel with my eyebrow and the side of my nose, so any strands after it needs to be plucked. Next, still keeping the brush bottom close to my nose corner, tilt the brush such that it cuts across the middle of your pupil, that would mark the highest part of the eyebrow, which is the arch. Lastly, tilt the brush again all the way to the very edge of the eye, and that would be the eyebrow end tip, where your tweezing and eyebrow coloring should end. When tweezing, moderation is key; try not to pull too many strands at once as it which may cause bald spots. Not only do you trim the strays of the brow to clean up, but remember to trim above brow along the arch to get a defined look. Traditonal eyelash curlers for the lack of a better word; scares the HECK out of me. Secretly, I refer to them as small torture devices and have an innate fear of clamping my eyelids with it. So when I saw this, I was more excited than a child on Christmas. The Panasonic heated eyelash curler features a 360 degree rotating heated head that does in two directions (upwards and downwards). The set also comes together with a mini brush to clean away any debris. To start; 1) unscrew the curler and pop in an AA-sized battery, and switch the curler on. The heat indicator which is a small purple oval, 2-3) will turn to a bright pink to indicate that the curler has been heated up for use. In order to control the direction of rotation, you will need to hold down button according to the arrows indicated. 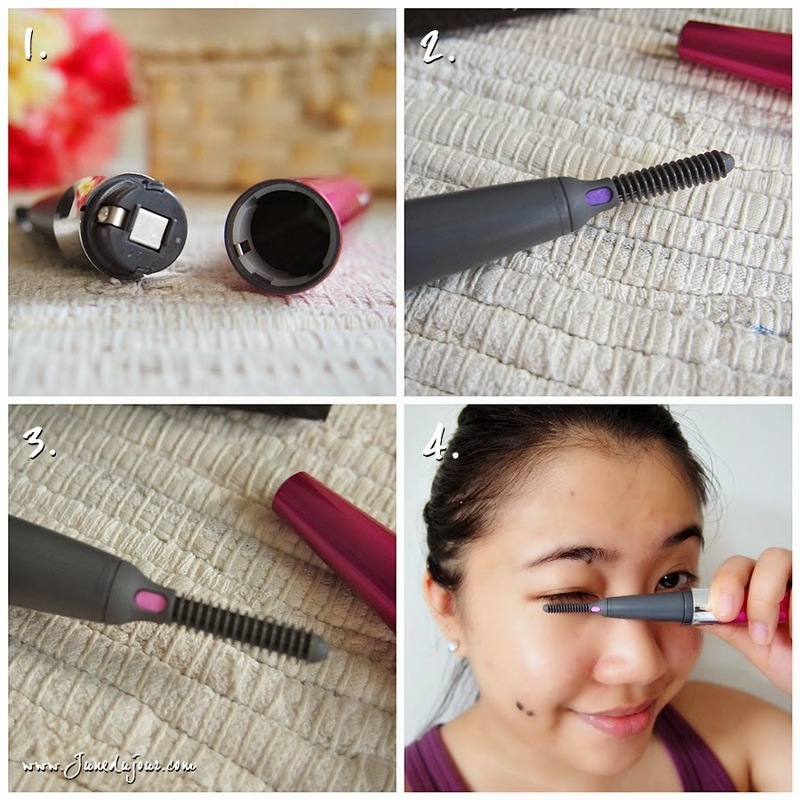 4) Pressing down the upwards button, I run the rotating head slowly towards the eyelash tips, and hold it for a few seconds before moving to the eye. And because the heat settings are low enough to avoid burns, this means you can use it on false eyelashes too! Good news falsie lovers! With a concise easy to follow guide behind the packaging, getting those dolly-like lashes is fool-proof. 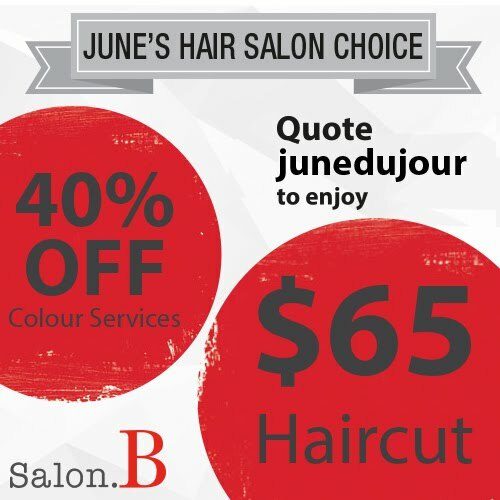 I'm a lover of the natural look, so I prefer doing the natural curl finish option. For a natural look with definition to the eyes, I usually swipe on two coats of mascara, then curl it with the EH-SE60. The heat locks in the curl formula to give it lasting hold. And since its not bulky, it fits perfectly into my small makeup pouch for that quick perk-me-up during the day. Its like the fundamentals of any budding beauty blogger. By and large, I still use my trusty fingers for application, but there are times where a proper Plus, using fingers means adding more bacteria to your face. Plus, where the face has crevices such as nose corners and eye corners, I feel that you get a better control and result using makeup brushes for application and blending. I like the size of this black and gold set courtesy of Elizabeth Arden, which contains 2 eyeshadow brushes, an eyelash grooming brush, a powder brush and a flat-head brush. I'm not particular about synthetic bristles or real hair bristles, but I'm more concerned about the softness and the overall shape of the brushes as it really impacts application. 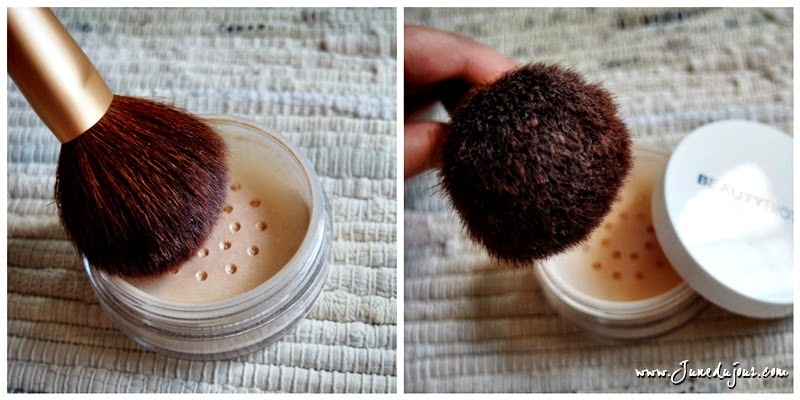 The one I use the most would be the powder brush, where I use it to dust loose powder. Big and fluffy, 2 swishes in the jar is enough to pick up enough product without needing to go back for seconds; the airy bristles is shown to have the powder evenly distributed without even needing to tap off any excess patches. Picture this: it is found that an average, we shed about 50 million dead skin cells. Besides 'facing' that problem (pun intended! ), antigens and free radicals caused by the environment like our haze can also exacerbates the situation. Now imagine topping all of that, after a long day at work and happy hours later, how layers of makeup and grime adds on to the skin problems. 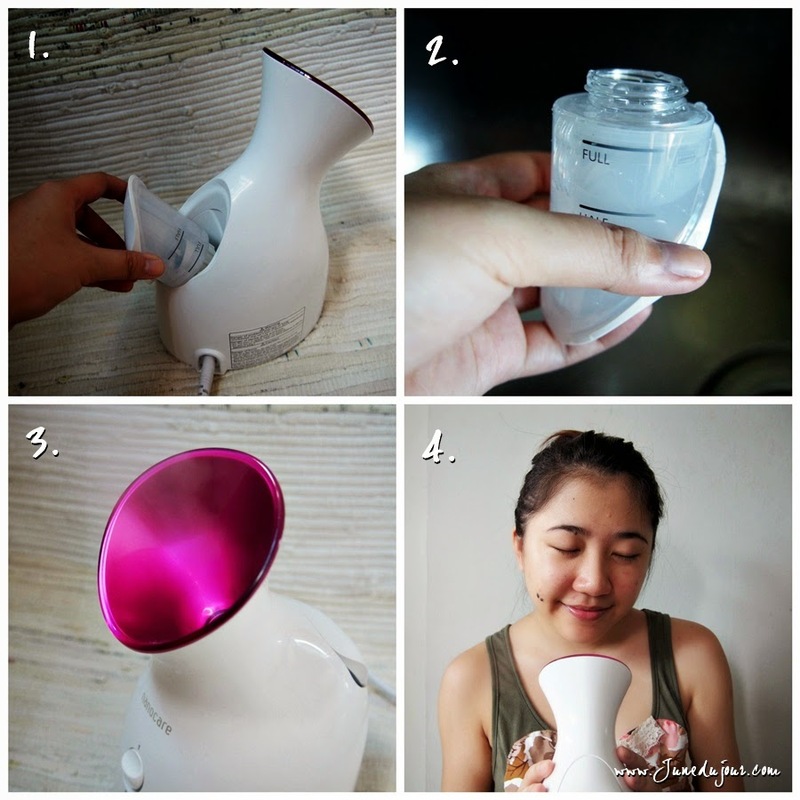 So comes to the rescue, the Panasonic Facial Ionic Steamer EH-SA31! This ergonomically designed steamer produces nano-ionic steam, what this means is ultra-fine nano-sized particle steam that is 4,000 times smaller than normal steam. Since particles are finer, the water is able to penetrate skin more easily and is more readily retained for long lasting moisturizing effects. This also helps to enhance blood circulation, promote regeneration of collagen, and stimulate the hydrophilic factors to keep skin looking more clarified and supple. Here, I'm using it to open my pores before I embark on my favourite Glamglow mud mask routine. First, remove the cartridge from the back of the steamer, where there is a plastic water container. I prefer to fill it with water to the 'Full' mark as I prefer to do a 10 minute session than the recommended 6 minute quickie face spa. Next, after replacing the filled container back, switch the steamer on and let it run until you see steam wisping out (which usually takes about 2 minutes or so). When you have a nice flow of steam, direct your face forward about 15cm away from the noozle and let the steam do the work. The temperature is not too hot for me, sometimes I even lean forward to get a stronger blast of steam. I like to turn my head left and right to make sure I have all parts of my face covered with the condensation goodness. Plus I love the dewy sheen after I finish a session! 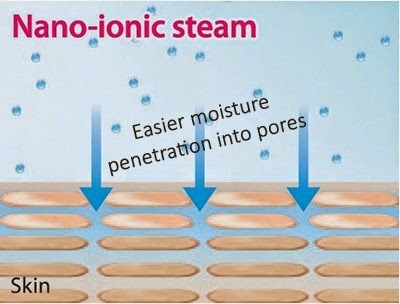 The ionic steam gets my face dewy-like! After I'm done with the steaming session, I feel refreshed as pores are open and reacting with the cooler air around. Running my fingers over, my skin feels softer and smoother/ This is the best time for skincare products as pores are deeply cleansed and open for better penetration of products, thus increasing the efficacy. 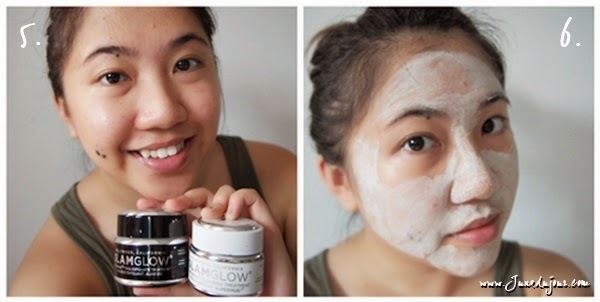 I'm using the Glamglow Youthmud which tends to be patchy to apply, but goes on rather smoothly with my post- steamed skin. So there you have it, some of my favourite beauty toys I love playing with! I think beauty tools are definitely important to not just beauty bloggers but anyone in general who has a love for makeup and skincare. Whether expensive or economical, it pays to get quality ones as as it can deliver a world of difference in results. 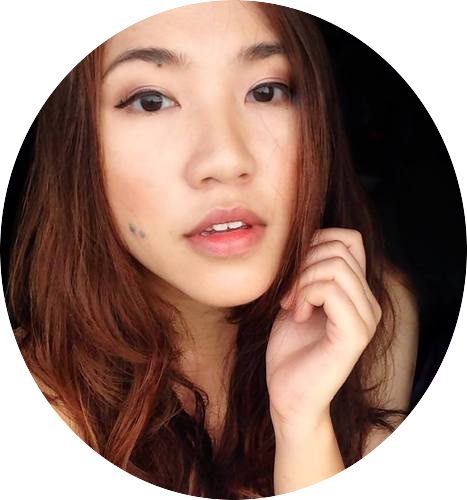 I'm truly thankful being a relatively newly minted beauty blogger, and having the opportunity to dabble in different makeup, skincare and beauty gadgets, learning how to better take care of myself and revel in the intricacy in research and inspiration that goes behind that favourite jar of moisturizer or perfume. 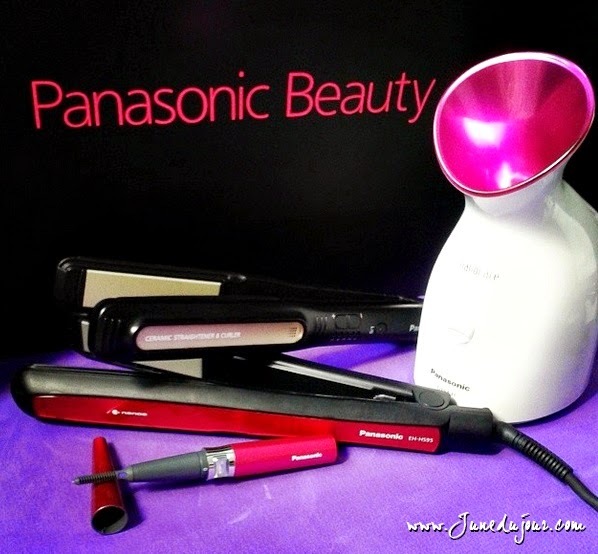 If you'd like know more about the Panasonic tools that I've featured here, you can head over to their official website and facebook page below. Thank you again Singapore Blog Awards for letting me testdrive these babies! Tune in to my upcoming final post where I'll get to create a themed beauty tutorial. 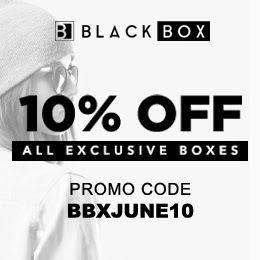 Time is running out! Am I one of your favourite beauty reads? If so, then do remember to kindly cast a vote for me HERE, where you can vote once daily until 31 July!